Through neck lamination piece 1150 x 110 x 2mm Indian rosewood. Typically used for bass necks and neck through body guitars. Many colour and size combinations are possible using our neck lamination pieces. Let your imagination run free. For bolt on Fender type instruments. Type 'E' necks are quarter sawn. 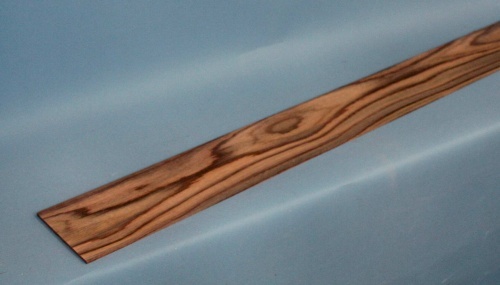 Type 'F' necks are available quarter sawn or slab/random sawn as they would be on a Fender guitar. Double neck blank for fixed neck electric basses. Bass guitar bolt on neck blank. Quarter and slab cut available.